A new study, published in the journal PLOS ONE, says if you want to know how long you’ll live, your nose may be the answer. The research found that, at least in older adults, being unable to identify certain scents, like fish or peppermint, is a strong predictor of death within five years. Known as “olfactory dysfunction,” the loss of smell is said to be a stronger predictor of when one will die, even over conditions like heart failure, cancer or lung disease, the University of Chicago researchers stated. The researchers believe that their findings could provide a useful clinical test as a quick and inexpensive way to identify the patients who are most at risk. For this study, the researchers administered a smell test to the more than 3,000 participants, ages 57 to 85. Each was asked to identify five common odors increasing in difficulty: peppermint, fish, orange, rose and leather. More than three-quarters of participants were found to have normal smelling capabilities, correctly identifying at least four of the five smells. Almost one in five correctly identified two or three of the five scents, and the remaining 3.5 percent of participants could identify none or only one of the five scents. Five years after this initial test, researchers confirmed which of the study participants were still living. They found that 12.5 percent, or 430, of the original smellers had passed away, including 39 percent of those who had shown significant loss of the ability to smell five years earlier. Nineteen percent of the participants who had exhibited moderate smell loss five years prior were among those who died. Only ten percent of those who correctly identified at least four or five of the smells on the test died within the five-year period, they found. When researchers adjusted for demographic variables like age, gender, socioeconomic status (measured by education or assets), overall health and race, study participants with greater smell loss when first tested were substantially more likely to have died during that five-year period. Even mild smell loss was associated with greater risk. Co-author of the study, professor of psychology at the University of Chicago, Martha McClintock, said, “Obviously, people don’t die just because their olfactory system is damaged,” but, she explained, a lessened ability to smell may signal a “decrease in the body’s ability to rebuild key components that are declining with age,” leading to death by other causes. 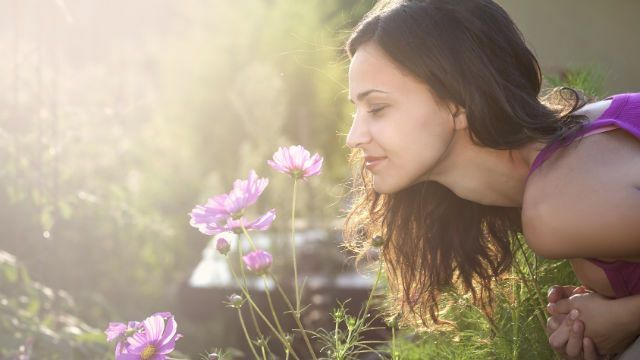 She also noted that olfactory dysfunction could be a sign of slowed cellular regeneration or the result of years of exposure to toxins in the environment. 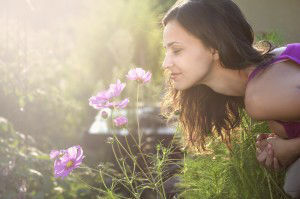 Hey Buddy!, I found this information for you: "Loss of Smell Can Predict Death, Researchers Say". Here is the website link: https://www.thealternativedaily.com/loss-smell-can-predict-death-researchers-say/. Thank you.